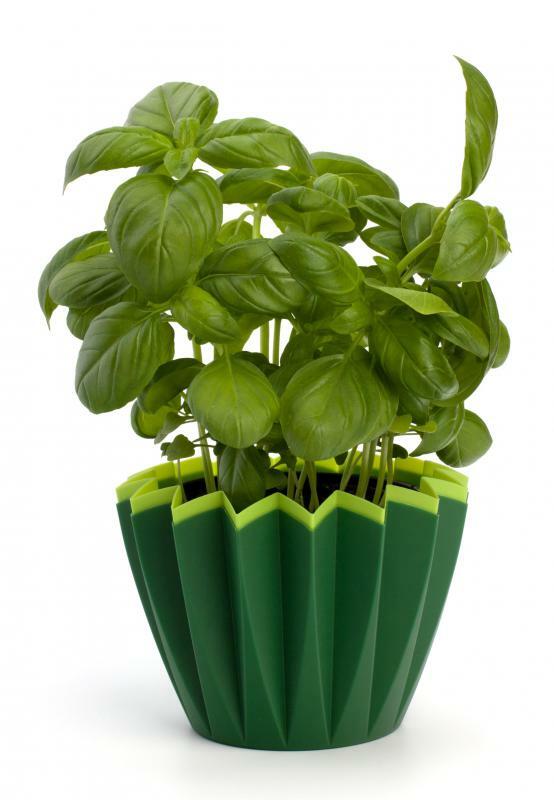 Fresh basil leaves are often used to garnish vegetarian risotto. 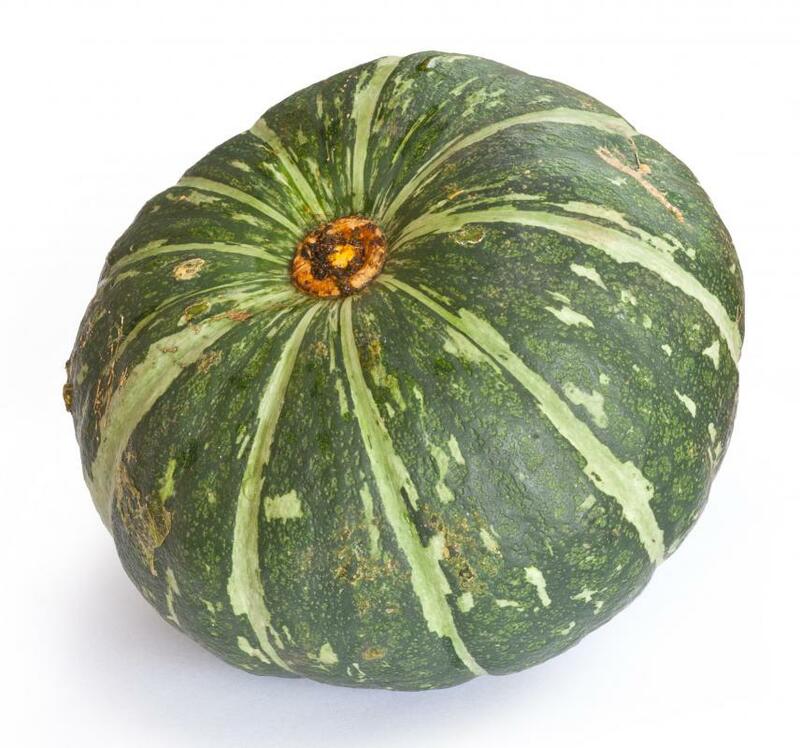 Butternut squash can be cubed for use in risotto. 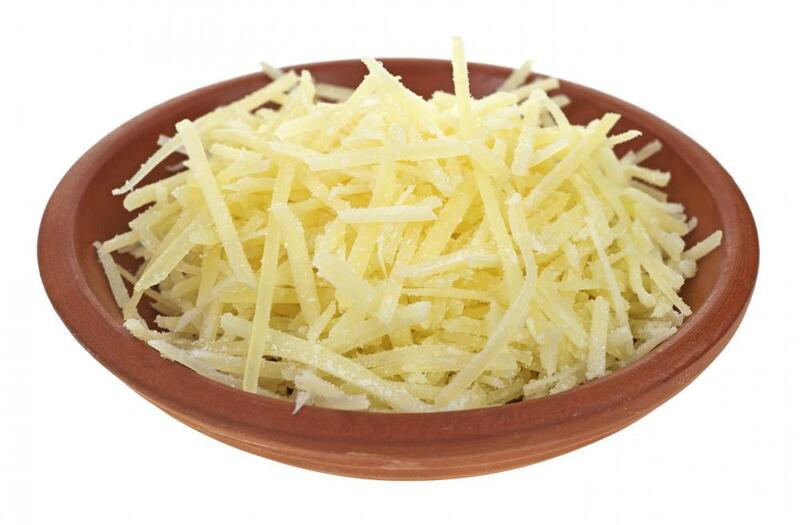 Grated Parmesan cheese is often added to risotto. Vegetarian risotto is a creamy rice dish that is typically cooked in vegetable stock and well seasoned. This dish is traditionally made using short grained Italian rice known as Arborio. Liquid is added slowly during the cooking process to ensure that it is completely absorbed by the rice, and only a very creamy, sticky textured dish remains. It may be flavored with any type of vegetables depending on the taste preferences of the cook. Risotto is commonly prepared using chicken or seafood stock to add flavor to the rice. Vegetarian risotto may be cooked in any type of vegetable stock. This particular ingredient can be purchased from a local supermarket or made at home using a wide variety of fresh vegetables on hand. The stock must typically simmer for up to eight hours to allow all vegetable flavors to adequately seep into the water. 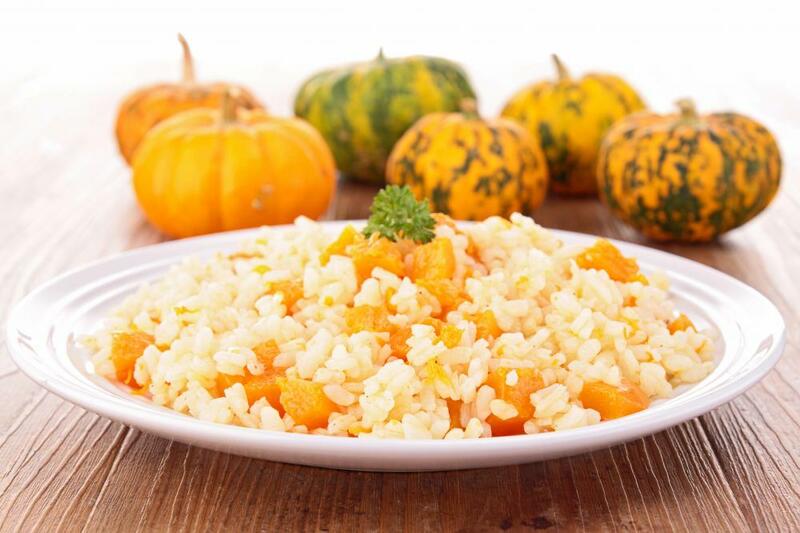 Arborio rice is recommended by most chefs for use in the preparation of vegetarian risotto. This rice is harvested in Italy and is recognizable by its short grain texture. Each rice granule contains a high starch content that leeches slowly out of the rice during the cooking process to blend with other ingredients. The result is a thick and creamy consistency that is more difficult to achieve with longer grained rice. Parboiled and instant rice varieties are not suitable for use with this type of recipe. Additional ingredients used in vegetarian risotto can include white wine, onions, garlic, Parmesan, and vegetables. The onions and garlic are typically sauteed for several minutes in the skillet before adding the rice or wine. The flavors of these vegetables begin to juice into the pan when exposed to the heat, which can then be absorbed by the rice. The stock and wine should be added to the vegetarian risotto slowly. Many cooks recommend that these ingredients be ladled into the pan and stirred until all liquids are absorbed. This process allows the individual rice grains to fully absorb the flavors in the pan, and expand gradually while losing their own starch content. The interior of the rice grains tends to cook during this time to an al dente texture, somewhat reminiscent of well done pasta, while the outside becomes sticky and coated in wine and seasoning. The type of vegetables mixed into the risotto may be determined by the taste preferences of the cook. Butternut squash and pumpkin are two popular choices for use with this type of recipe based on their firm but easily pureed texture. These vegetables should be completely cooked and mashed before combining with the rice. They may be added during the final minutes of cook time, and should be stirred until blended. This dish should be served hot with a sprinkling of seasoning on top. Sweet vegetable risottos, like pumpkin, can be sprinkled with nutmeg and allspice. Savory vegetables blend well with basil and oregano. Traditional risotto is topped with shredded Parmesan once served. What Are the Best Tips for Making Butternut Squash Risotto? What Is Vegetarian Chicken Stock? What Does a Vegetarian Chef Do? What Are the Different Types of Gluten-Free Vegetarian Foods?